10 p.m. on Saturday, and 9 a.m. to 5 p.m. on Sunday. 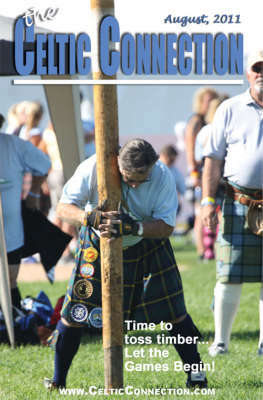 Hosted by the St. Andrew Society of Colorado, a non-profit 501(c)(3) organization founded in 1963 to provide all persons the opportunity to pursue their interest in Scottish culture, the festival’s heritage can be traced back to Scottish fur trappers who carried on age-old homeland traditions in their Rocky Mountain encampments. Attendees will experience the power of the massed Pipes and Drums on parade; the grace of Scottish and Irish Highland dancers; historic re-enactors staging mock battles; sheepherding, Birds of Prey and rugby demonstrations; and the comical antics of dogs of the British Isles. They can participate in Scottish country dancing and Tug-of-War; shop for traditional Scottish wares in the Market Square; and trace their ancestry and clan history at the Scots’ Heritage Centre. “Wee bairns” will have plenty of their own fun games and activities so parents can enjoy the day. Four festival stages will offer non-stop Celtic music, and vendors will be selling such Scottish-Irish fare as haggis, Scotland’s savory “soul food”. Those of an age can enjoy a cold brew or wee drop of Scotland’s finest whiskey in one of several pub tents. Gentlemen wearing kilts are invited to enter the Bonny Knees Contest, judged by fair lassies. The Rocky Mountain Highland Games will consist of fierce competitions in Highland dancing, piping and drumming, and traditional Scottish athletics, including the trademark caber toss (big, brawny men throwing heavy wooden poles). During Midday Ceremonies both days, the skirl of the Massed Pipes & Drums will accompany a spectacular Parade of Clans and British dogs. On Saturday, the 5 p.m. Hot Piping Contest will be followed by a musical extravaganza from 7 to 10 p.m. featuring famed Celtic rock band, Seven Nations. On Sunday’s schedule — a British car show featuring MINI Coopers from the Festival’s Title Sponsor, Ralph Schomp MINI, and new and classic cars owned by members of MINI5280, the Motoring Society of the Rocky Mountain Region. Tickets can be purchased in advance or at the door. Admission: Adults, $17; Seniors (60+), Active Military, Children 7-11, $12; Children 6 and under, Free. Free parking available at Highlands Ranch High School, 9375 Cresthill Lane; and Rock Canyon High School, 5810 McArthur Ranch Road. Free shuttle from both locations. 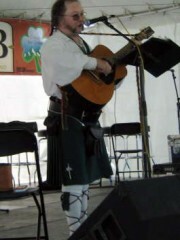 The cultural offerings at the 2011 Colorado Irish Festival’s Cultural Village are the heart and soul of the weekend event, showcasing some of Colorado’s talented groups, organizations, and individuals that perpetuate Irish culture all year-round. As anyone from Ireland can attest, the local pub has been a key part of Irish culture for many years. According to Michael the pub is an integral part of the Cultural Village. “The pub is not just a place to drink – in Irish culture, it’s a center of social life, where the community gathers, old friends meet up, and new friends are made. Irish pubs are famous for their music and craic (pronounced “crack,” an Irish word for good times and friendship), and you will find plenty of both in the Cultural Village Pub.” Local acoustic Irish traditional music will be provided by Skean Dubh, Mythica, Colcannon, Gobs O’Phun, Lougheed, and Mondragon. Also, traditional music sessions Friday and Saturday evenings, featuring musicians who gather to play just for the joy of it, much like what happens in most local pubs in Ireland – so stop by for a listen, or bring your own party piece (tune or song)! For centuries the Harp has been recognized as a national symbol of Ireland. Thanks to sponsorship from Denver company Kolacny Music, you can learn to make angelic sounds from this instrument. Harps will be provided for learners for a “hands-on” workshop with instruction from Lisa Clark of the Colorado Harp Society. Want to find your family tree? Marylee Hagen, a member of W.I.S.E. (Wales, Ireland, Scotland, England) Family History Society (which will also have a booth in the Village), has been doing genealogy for 16 years. She is a teacher by profession, and has given many adult and student programs on genealogy and Ireland. Marylee will give a presentation on “Tracing Your Ancestor’s Footsteps.” She found her family roots in southern Ireland by tracing her ancestor’s footsteps backwards to their homelands in County Kerry. She will start with first researching in the United States and then go abroad. Strategies, tips and resources will be shared and examples displayed. Colorado historian Sherman Bucheger will share two presentations this year at the Fest. The first, “The Irish Famine in America,” will discuss details of the 1845-46 potato blight in Ireland, the resulting famine, and the emigration of millions of Irish, many to North America. This vast migration had widespread effects in both countries, which continue to change the face of American culture to this day. “The Irish in the American Civil War; The Union Irish Brigade” will briefly discuss the role of Irish and first generation Irish-Americans in the American Civil War of 1861-1865. The discussion will focus mainly on the involvement of the Irish in the Union Irish Brigade under the command on Thomas Francis Meagher from the battle of Sharpsburg in 1862 through the unit’s involvement in the Battle of Gettysburg in 1863. Topics to be discussed will include why the Irish fought for both the Northern and Southern causes during the war, the use of Irish troops by both the Union and the Confederacy during the early combats of the war, and a possible reason why current day knowledge of the Irish during the war Civil War is so limited. The Colorado Emerald Society fraternal organization of police, firefighters, and public safety personnel, promotes Irish culture and traditions among those valued professionals. CES also sponsors a pipe and drum band that represent the State of Colorado at the National Peace Officers Memorial March and Service in Washington D. C., and the International Fallen Firefighters Memorial Service in Colorado Springs, as well as leading the Colorado Emerald Society in Denver’s St. Patrick’s Day Parade. The Denver St. Patrick’s Day Committee will be represented, dispensing information about one of the most prestigious St. Patrick’s Day parades west of the Mississippi. The ever-popular Irish Wolfhounds will make a return visit, and this year, we feature a special display of Viking craft skills and handiworks, by Iðavellr Vikings . Vikings came to Ireland many times, in bands small and large, and made significant contributions to Irish culture. Iðavellr Vikings is both a Crafter’s Guild and Living History group, situated in Colorado. Iðavellr is old Norse for the place where the Norse gods rest after battle; a place where crafting and camaraderie ensues. The Iðavellr village will represent how Norse people lived during the Viking Age, traditionally circa 700 C.E. to 1066 C.E. Its members portray Norse people from various countries sometime during that period. Nearly everything they have is hand-made, from clothes and shoes to kettle and knives. During the festival, they will display things they’ve made that Norse people would have had, and work on Viking-Age crafts, such as shoe making, nålbinding, tablet weaving, spindle spinning, and so on. And of course, no discussion of Irish culture would be complete without the mention of distinctively Irish sports, such as Gaelic football and hurling. Michael explains the games, “Gaelic football predates the modern sport of soccer, and resembles that sport as well as rugby, but with some unique Irish twists. Hurling looks a bit like field hockey, but is played by much the same rules as Gaelic football. Colorado is the proud home of the Denver Gaels.” Dublin native and local “D.J.,” Shay Dunne (and co-founder of the Gaels) and some of his teammates on the Denver Gaels, will explain the importance of traditional Gaelic Athletic Association (GAA) sports in Irish culture. This will be followed by demonstrations of these quintessential Irish games that include Irish Football and Hurling. The Gaels will also host teams from outside Colorado in GAA competition all weekend at the Fest.